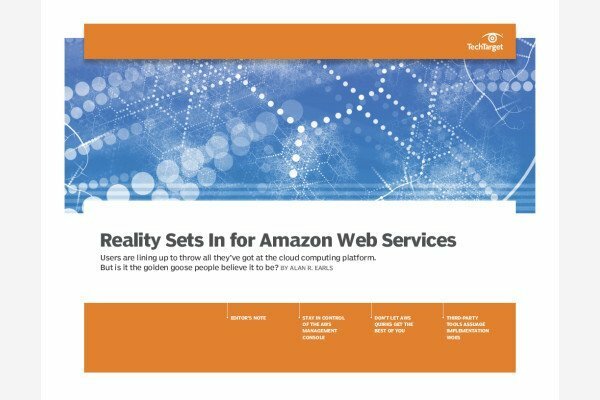 AWS AppSync is an application development service hosted in the Amazon Web Services (AWS) public cloud that synchronizes data for mobile and web apps in real time. The service also enables end users to update data within an application, even when their computer or mobile device is offline, and then performs synchronization when connectivity is regained. AWS AppSync is well suited for the development of collaborative and data-driven applications, such as those for gaming, social media, document sharing and chat. AWS AppSync -- and, specifically, the GraphQL query language it supports -- enables application developers to specify the data they want to provide to end users and update in real time. This helps reduce the storage and bandwidth costs compared to updating all data on an app. Developers embed GraphQL Subscriptions into application code via AppSync to deliver selected real-time data via MQTT over Websockets. Additionally, AWS AppSync can provision Amazon DynamoDB tables and indexes according to GraphQL schema that developers define, or you can use the service with existing DynamoDB resources. You can create an API with custom schema in AWS AppSync. Developers configure interactions between an app and data sources via mapping templates, which translate GraphQL queries into different message formats familiar to each cloud service that serves as a source. In addition to DynamoDB, AppSync integrates with AWS Lambda functions and Amazon Elasticsearch Service domains. What difficulties have you experienced with mobile app development tools?